Plan B Mountain Transportation’s vehicles are perfect for families and groups of all sizes. 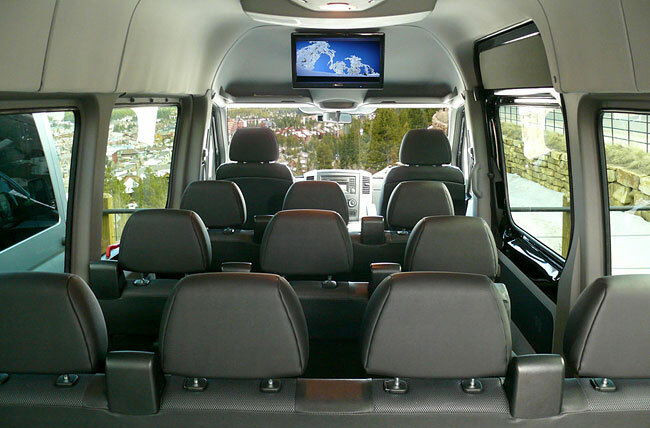 Our Mercedes-Benz Sprinters are outfitted with luxurious seating for up to 11 passengers. A giant luggage compartment is separated from the passenger area and can comfortably hold everyone’s luggage and ski gear. Our Sprinters feature an extended roof with full stand up interiors and a DVD entertainment center with a large flat screen television. 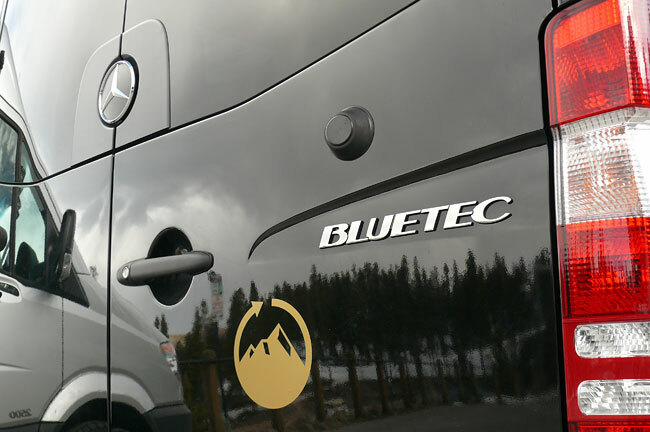 Our Mercedes-Benz Luxury Sprinters offer the most comfortable ride to and from any destination in Colorado. Choose Plan B for your airport ground transportation, local around town private car service or wedding needs. 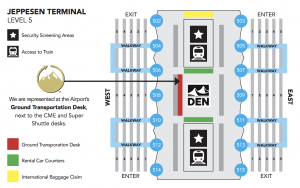 Once you arrive at Denver International, Eagle County or another Colorado airport, your professional driver will be waiting for you to take you to your favorite Colorado resort. You will not have to wait for a van or share a ride with other passengers. And, our vehicles are roomy and spacious. 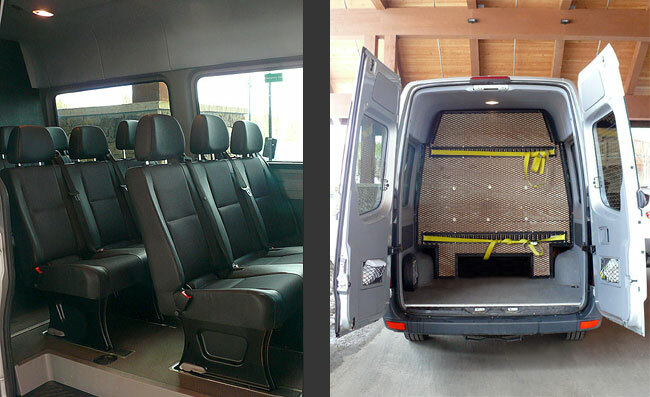 Passengers can easily walk into the Sprinters without needing to duck or squeeze into seats. Child safety seats are provided by request. Separate Luggage Area allows us to carry all luggage and ski & snowboard equipment safely inside the vehicle. Luggage is stowed behind passengers in a separate compartment. Unmatched Comfort and large sightseeing windows put our Sprinters in an elite category for all your Colorado transportation needs. This photo illustrates the difference between our Sprinters and a typical van. A GREEN Choice – The Sprinter is a sound ecological choice. Mercedes-Benz BlueTEC Clean Diesel technology is one of the cleanest automotive power options in existence. Plus the Sprinter delivers outstanding fuel mileage. Learn more about Mercedes-Benz BlueTEC clean diesel technology. 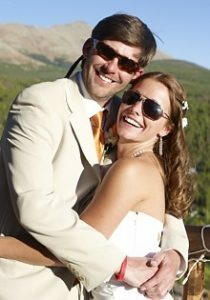 Please email us or call our toll-free number to discuss custom transportation solutions or visit our rate page for pricing on transfers to and from Denver International and Eagle County airports to Copper Mountain, Breckenridge, Keystone, Vail, Beaver Creek, Aspen, Snowmass and other of our most popular destinations.